Tulip & Lily: It's beginning to look a lot like Christmas! 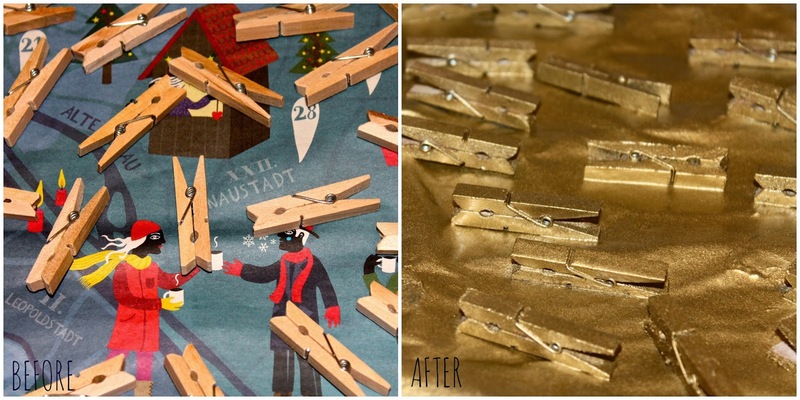 Put your clothespins on a broad sheet of paper and spray-paint them from every side with your gold spray. The distance between the spray can and clothespins should be about 30cm. 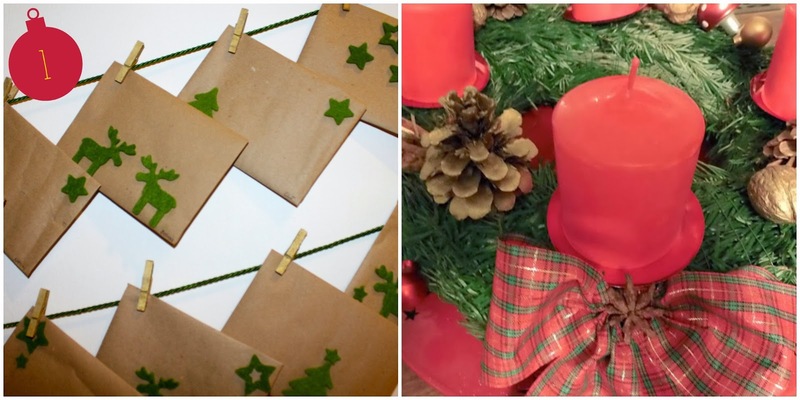 While your now golden clothespins dry you can glue your felt ornaments onto your envelopes. I made my envelopes myself out of simple brown paper using this easy description by Emily from Design and Nonsense but of course you can also use purchased ones. The calender numbers I simply wrote onto the envelopes into the down right corner. I always buy a ready-made greenery wreath because I am too lazy to make my own (allthough I have TONS of coniferous trees in my garden and neighbourhood). But I always decorate them by myself. Start with the candles: put them on the candle holder for wreaths and plug them in the wreath. Fix the tartan ribbons with some wire directly under the candles. I also glued some star anise on the ribbons. Then spray-paint your walnuts and pine cones and let them dry. With a hot glue gun you can fix the walnuts, pine cones and small red ornaments easily on your wreath.